January 1, 1987 - General PEP introduced by Nigel Lawson, Calendar Year allowance of £2,400. April 6, 2004 - ISA and PEP managers are no longer allowed to reclaim the 10% tax credit attached to dividends. This leaves ISA investors £10.00 worse off for every £100.00 gross dividend paid. March 15, 2005 - The Chancellor announces in hiis budget speech that the £7,000 ISA tax-free savings allowance will be extended to 2010. November 2006 -The economic secretary to the Treasury, Ed Balls MP, announced the largest ever reform package to the ISA regime. The reform package includes a commitment to a permanent future for ISAs beyond 2010, the removal of the mini/maxi distinction, the rolling of PEPs into the ISA wrapper and the rollover of some existing savings vehicles, such as Child Trust Fund on maturity, into ISAs. November 2006 -The Economic Secretary to the Treasury, Ed Balls, said plans to reform the way investors can allocate the money they have saved in ISAs would include allowing them to switch money from a cash ISA in a previous tax year to a stocks and shares ISA. March 21, 2007 - The Chancellor announces in his budget speech that from April 2008 Britons will be able to put an extra £600 a year into a cash ISA savings account and an extra £200 into stocks and shares ISA. April, 2009 - The Chancellor announces in his budget speech that the ISA limit will be raised to £10,200, of which £5,100 can be held in cash. The new limit will apply to people aged 50 and over in 2009-10, with effect from 6 October 2009, and to all from 2010-11 onwards. People aged 50 and over will be able to subscribe the full amount of the increased subscription limit for 2009-10 from 6 October 2009. All ISA investors will be able to take advantage of the new limits from 6 April 2010. March 2010 - The Chancellor announces in his budget speech that as from 6th April 2011, the annual ISA limit would rise in line with inflation by tracking the retail price index. October 2010 - October 2010 - The Government confirms launching a "Junior ISA" scheme following the scrapping of Child Trust Funds. The scheme is to encourage saving for children, however there will be no state expenditure on the account. The annual Isa allowance will increase from £10,200 to £10,680 for the next tax year, which starts on 6 April 2011 and ends on 5 April 2012. March 31, 2011 - The Government has confirmed the proposed Junior ISA. Parents will be able to save up to £3,000 a year tax-free for their children from the autumn of 2011. The Junior ISA launches 1st November 2011, aiming to offer parents a simple, tax-free way of saving money for their children following the end of Child Trust Funds (CTF).Unlike CTFs, the Government will not contribute anything to the ISA saving accounts. September 2011- The Government confirmed the proposed Junior ISA. Children living in the UK who do not have a Child Trust Fund account will be able to have a Junior ISA. People will be able to put money into a cash account or ‘stocks and shares’ account. Each child will be able to have one cash and one ‘stocks and shares’ Junior ISA at any one time. There will be a total yearly limit of £3,600 for all payments into these accounts. Accounts will become ISAs when the child is 18. October 18th 2011 - HM Treasury confirms higher ISA limits for 2012-13. The annual allowance will rise from £10,680 to £11,280 from April 6th 2012. 5th December 2012 - Chancellor George Osborne announced in the Autumn Statement that the overall Isa contribution limit will be uprated to £11,520 from next April. The 2.1 per cent rise means that half this amount - £5,760 - can be placed into a tax-free cash Isa by savers. The Chancellor George Osbourne announced during his March 2014 budget speech, a raft of changes designed to help savers and investors including a new increased ISA allowance from the 1st July 2014. New ISA allowance - The ISA allowance – the amount you can invest each tax year – will rise to £11,880 on 6th April, and then to £15,000 1st July 2014. Improved flexibility - under the new rules you will also be able to split the ISA allowance as you wish between a cash ISA and stocks and shares ISA. Improved transfer options - from July 2014 you will be able to transfer from a stocks and shares ISA to a Cash ISA, and vice versa. Under previous rules you could only transfer from a cash ISA to a stocks and shares ISA. 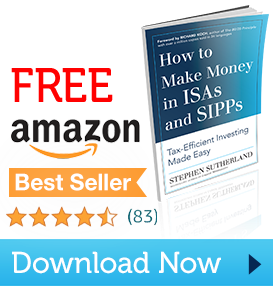 Tax-free interest in stocks and shares ISAs - you have always been able to hold cash in a stocks and shares ISA, but any interest is in effect paid net of basic rate tax. Under the new rules interest on cash held in a stocks and shares ISA will be completely tax-free. Junior ISAs - the amount you can invest each tax year – will rise to £3840 on 6 April, and then to £4,000 on 1 July 2014. In an unexpected move, Mr George Osborne said widows and widowers would now be able to inherit ISAs tax-free. Previously ISAs lost their tax-free status on death. This new rule states that if an ISA holder dies, they are able to pass on their ISA benefits to their spouse or civil partner via an additional ISA allowance called an 'additional permitted subscription' (APS), which will be able to use from April 6th 2015. The surviving spouse or civil partner will be allowed to invest as much into their own ISA as their spouse used to have, in addition to their normal annual ISA limit. Mr Osbourne also announced that the ISA allowance for 2015/2016 will be £15,240 and that the Junior ISA and Child Trust Fund annual allowance for the 2015/16 financial year will be £4,080. The chancellor announced in his March 2015 budget two more changes with regards to ISAs. 1) A more flexible ISA - People will have complete freedom to take money out of an ISA and put it back in later in the year. The chancellor reported that ISAs are being reformed so that instead of being able to put up to £15,240 in the 2015-16 tax year into an ISA in total, people will be able to take out their money and put it back in within the same year, without losing their ISA tax benefits – as long as the repayment is made in the same financial year as the withdrawal. The government said they will change the rules autumn 2015 following a technical consultation with ISA providers. 2) Help for first time buyers - From Autumn 2015, the government are introducing a ‘Help to Buy ISA’. For every £200 people save towards their first home, the government will put in an extra £50, up to a maximum bonus of £3000. People will be able to open an ISA, save up to £200 a month towards their first home, and the government will boost it by 25%. That’s a £50 bonus for every £200 people save, up to £3000. The Autumn Statement revealed that the annual threshold of £15,240 will remain the same for the 2016-17 tax year. The Junior ISA and Child Trust Fund limits will be kept at £4,080 in the 2016/17 financial year too. The Goverment announced that from 6 April 2016, there will be a new type of ISA - the Innovative Finance ISA. Under this new account, interest and gains from peer to peer loans can benefit from ISA tax advantages. Individuals aged 18 or over will be entitled to subscribe to an Innovative Finance ISA, which will be offered by peer to peer lending platforms with the appropriate regulatory permissions. This 'third ISA' option means that a consumer can invest the whole of their 2016-17 ISA allowance in a stocks and shares ISA, an innovative finance ISA, or save it all in a cash ISA. Investors will also have the choice of splitting their allowance across the three types, in any combination. The chancellor announced in his March 2016 budget two more changes with regards to ISAs. Lifetime ISA - From April 2017, any adult under 40 will be able to open a new Lifetime ISA. Up to £4,000 can be saved each year and savers will receive a 25% bonus from the government on this money. Money put into this account can be saved until you are over 60 and used as retirement income, or you can withdraw it to help buy your first home. 2) ISA Allowance set to rise in 2017 - The total amount you can save each year into all ISAs will also be increased from £15,240 to £20,000 from April 2017. The chancellor announced in his March 2017 budget that the Lifetime ISA will be available from 6 April 2017. The Lifetime ISA will allow younger adults to save up to £4,000 each year and receive a bonus of up to £1,000 a year on these contributions. Funds can be withdrawn tax-free to put towards a first home or saved until a person turns 60. The chancellor announced in his November 2017 budget that the annual allowance for Individual Savings Accounts (ISA) will remain unchanged at £20,000, although limits on Junior ISAs and Child Trust Funds ill rise in line with consumer price inflation (CPI). This will take their limits up to £4,260.